Trump Threatens to Step out of the World Trade Organization. 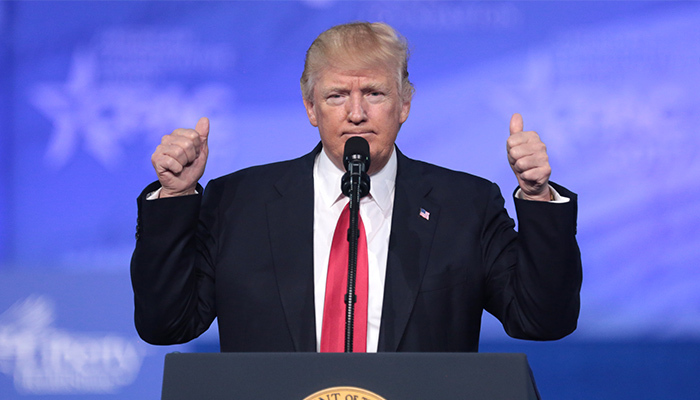 US President Donald Trump wants the US to step out of the World Trade Organization (WTO). The American news website Axios writes this Friday by sources within the White House. Incidentally, Trump cannot decide to leave the WTO on his initiative. He can announce it, but for an actual departure, the Congress must implement a change in the law. “He has threatened to get out of the WTO a hundred times,” said one of the sources who discussed the issue with Trump himself, posted by Right News. The US president would have told his advisers several times that the US is “always being sewn” by the WTO. According to Trump, the trade organ has been designed by the rest of the world to bother the United States. Trump’s advisers would try to explain to Trump that the US is more successful in the WTO than other countries. There, however, the president, who during his campaign was already very unsatisfied with the WTO, does not seem satisfied. Minister of Finance Steve Mnuchin contradicted Axios’ message to Fox News. That Trump wants to leave the WTO, he calls exaggeration. “The president has been clear that he is worried about the WTO and he thinks some aspects are unfair.” According to Mnuchin, however, the Trump government is focused on free trade and breaking down obstacles. Incidentally, Trump cannot decide to leave the WTO on his initiative. He can announce that, but for an actual departure, the Congress must implement a legislative amendment. EU leaders in the meantime confirmed the higher import tariffs on a series of American products in response to the taxes that the Trump government has imposed on steel and aluminium. The EU does not consider the charges of the ally justifiable and has filed an objection procedure with the World Trade Organization. Growth is imminent, as Trump threatens with higher import tariffs for European cars and car parts. If that happens, the EU is expected to hit back. The talks between Brussels and Washington has currently stalled. And also being discussed whether and when European Commission President Jean-Claude Juncker travels to the US to talk to the president about the disturbed trade relationship. The international trade system based on WTO rules. Must be maintained and strengthened, according to the leaders. They instructed the European Commission to develop proposals to improve the functioning of (the supervision of) the WTO.